It may be an ambitious goal, but China's Xiaomi remains confident it can sell at least 80 million phones this year, despite slowing market demand and encroaching rivals. "Everybody knows the competition in the market is very intense," said Xiaomi vice president of marketing Wei Lai on Wednesday. "It's given every smartphone vendor a huge amount of pressure." The company sold 34.7 million handsets during the first half of the year. Xiaomi ranked as China's largest smartphone vendor in the second quarter. Although the company expects that sales momentum to build, it could end up facing some roadblocks as well. Xiaomi's home market of China is starting to lose its voracious appetite for handsets. In the first quarter, the country's smartphone shipments showed a rare year-over-year decline. In addition, the competition isn't letting up. 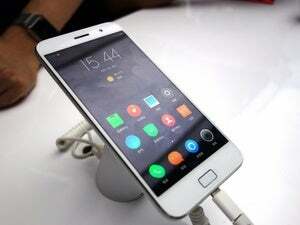 Other Chinese vendors such as Huawei, ZTE and OnePlus are all coming up with attractive handsets that in some cases threaten to steal sales away from Xiaomi's products. The company, however, expects its sales to remain robust, and grow as the year goes on, Wei said during a press briefing on Wednesday. "This has been the most competitive year in the industry," he said. 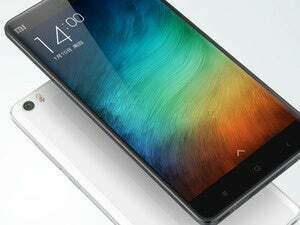 But Xiaomi has new products slated for release, which will help grow sales, he added. Last month, the company released its newest phone, the Redmi Note 2, a 5.5-inch device that starts at 799 yuan (US$125). The first day it went on sale, Xiaomi sold 800,000 units within 12 hours. Despite the initial strong demand, the product hasn't been without complaints. A marketing mistake caused some consumers to believe the Redmi Note 2 was using display technology from Japan's Sharp and Taiwan's AU Optronics, when in fact, it came from a Chinese company. Although Xiaomi apologized for the misunderstanding, the blunder could create doubts over whether the phone will sell well going forward, said Nicole Peng, an analyst with Canalys. "To reach the 80 million target, they need to work very hard," she added. To pump up sales, Xiaomi has also been expanding its manufacturing capacity, and ensuring that it has enough product in stock. This has helped it address a persistent complaint that its phones are always sold out, according to Wei. "So we have great confidence we can reach this sales target," he added.